The name Mengistu Haile Mariam is not familiar to most people in the United States. Yet this man, who rose to dictatorial power over the nation of Ethiopia between 1974 and 1987, was responsible for the genocide of an estimated 500,000 to 2 million people. The human slaughter has gone down in African history as the Ethiopian Red Terror. Mengistu was a prominent politician who rose to power in a Communist military junta by an organization known as the Derg. He became the President of the People’s Democratic Republic of Ethiopia in 1987 and remained in power as dictator of that nation until driven out of office by Civil War in 1991. Ethiopia went through years of extreme violence, oppression and warfare during the years Mengistu remained in power. He forcefully replaced the long-standing Solomonic dynasty thus ending an era of feudalism. Under his reign the nation experienced a rebellion by the Ethiopian People’s Revolutionary Party (EHAPA), an assassination attempt, and a battle for power that became the time of the Red Terror. There were brutal killings by both sides of this ugly conflict. To add to the horrors the country was under the threat of Somalian invasion and war. By 1984 Ethiopia was struck by famine. As a result of the conflicts the government eventually dissolved and Mengistu fled to Zimbabwe where he has been living ever since. The leadership then called for a transitional government. Mengisti’s departure brought about a sudden end of the Ethiopian Civil War. 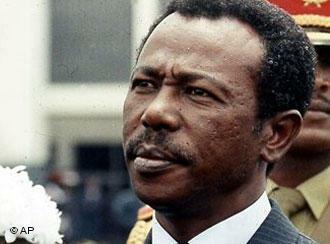 An Ethiopian court has since found Mengistu guilty in absentia of genocide. He is believed responsible for up to two million Ethiopian deaths.